Commentary: Rarely does a toy seem so tailor-made for me as R3-B0017. I love droids, I love action figures, and I love things that glow in the dark - add in a ridiculous short backstory, and we're off to the races! 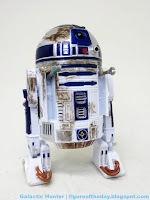 The mold is more or less the standard R3 fare - clear dome, hole in the top, a few textured bits, and some painted panels even though they don't seem obvious in optimal lighting conditions. 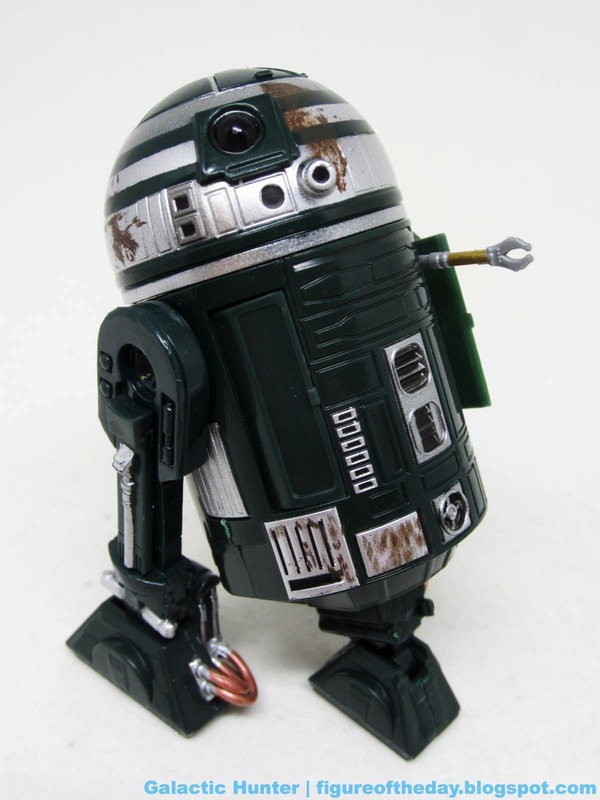 If the droid is lit from behind, you'll notice a few panels painted green on the front and back of his - erm - person. It's simple and it doesn't add a ton to the overall look and feel of this one. I like it because it's something, but it could just as easily have been another color since this blends in so much. The green plastic tends to absorb a lot of light, obfuscating sculpted detail. 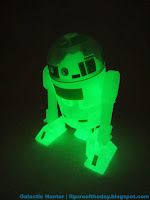 Having said that, you've bought hundreds of droids by now, so you don't need perfect deco. You need glow. The glow is good. 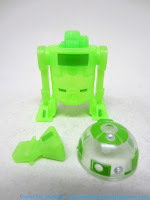 The droid's green plastic is semi-translucent, fitting for a "ghostly" robot from Dathomir. 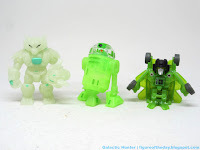 It matches the likes of Slimer more closely than my other glow toys, and for those curious the very best glow-in-the-dark toys seem to come from Onell Design's Glyos factory. (Get some - also see Cosmic Radiation Edition Outer Space Men.) The toy has a lovely green color rather than a bony off-white color, which is a nice change of pace as glow toys go. 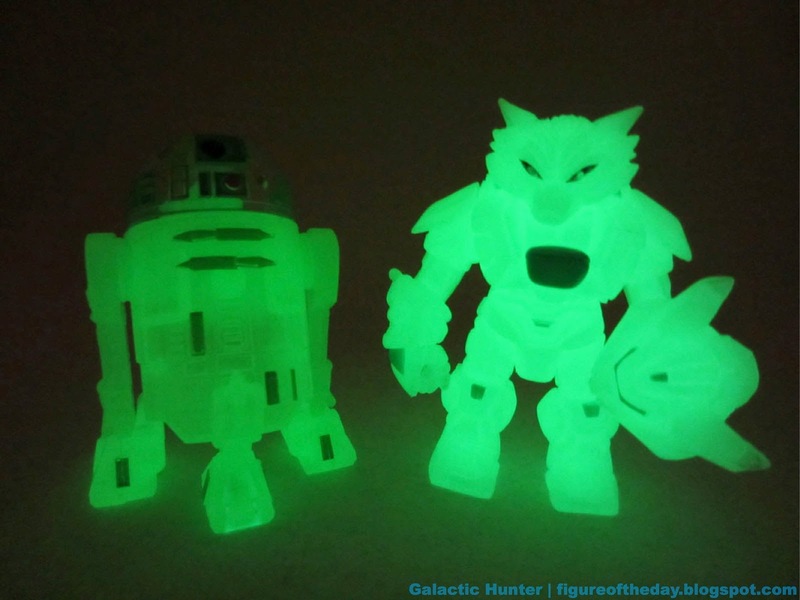 Star Wars has precious few toys which glow in the dark thanks to most people I've spoken with telling me glow toys are seen as a cheap cop-out as design goes (I feel insulted), or in some cases the plastic is a little more brittle and unsuited to things like Transformers. The more you know, I suppose. Happy Halloween! I like when Disney tries doing weird things with these, going above and beyond what would probably be appropriate under the Lucas era. It's kind of an abomination, but it's also exactly the kind of thing I wanted to have. I appreciate the backstory, I love the colors, and outside of a few glowing Action Fleet figures and an Applause! Spirit of Obi-Wan Kenobi, glowing Star Wars toys are a small subset indeed. If the price is good, get one. (Warning: the price is awful now.) Prices on eBay are usually pretty good - around $20 - within a month or two of release. If you're interested in any of the special droids, I suggest you don't dawdle. Collector's Notes: I got mine from eBay. 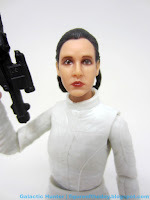 Commentary: I believe Princess Leia (Bespin Escape) is the best Carrie Fisher that Hasbro has ever given us. 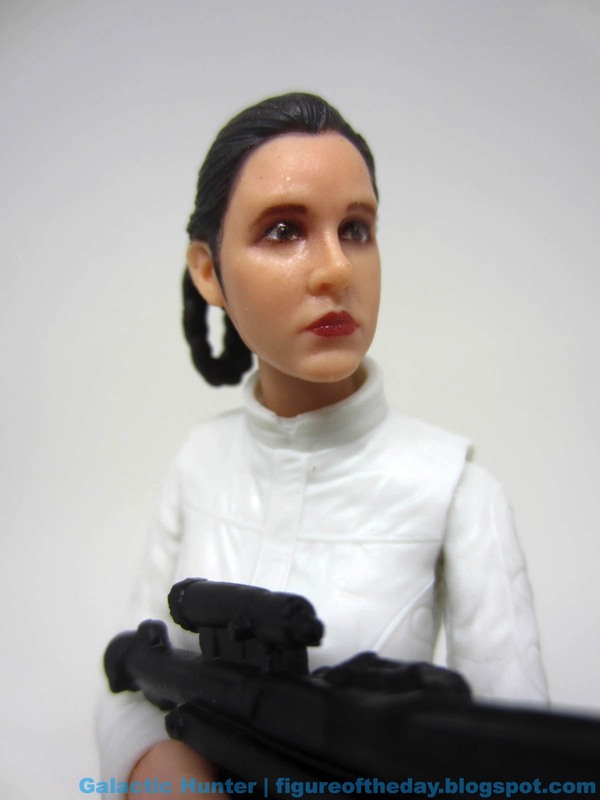 This is the first time Hasbro's "Ultra Real" face printing has been done with Ms. Organa, so when you have a good sculpt finally given good paint it's almost eerie how good it is. It's not the insane level of detail you get at Hot Toys, but it's also not $200. The figure is light on deco, but so is the original costume. The body is a white suit, largely devoid of color. It's also basically the Hoth outfit sans vest. The blaster is undecorated, and other Imperial blasters have gotten a little detail as of late. 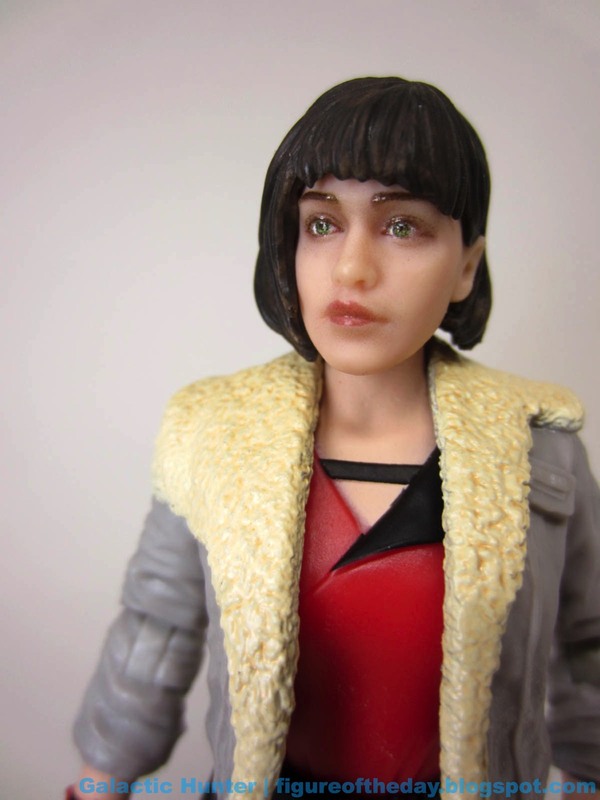 I assume this is why the cost is still $20 - the face has a pretty stellar make-up job with the Bespin hair loops, red lips, and a lot of shading around the face that really brings her to life. 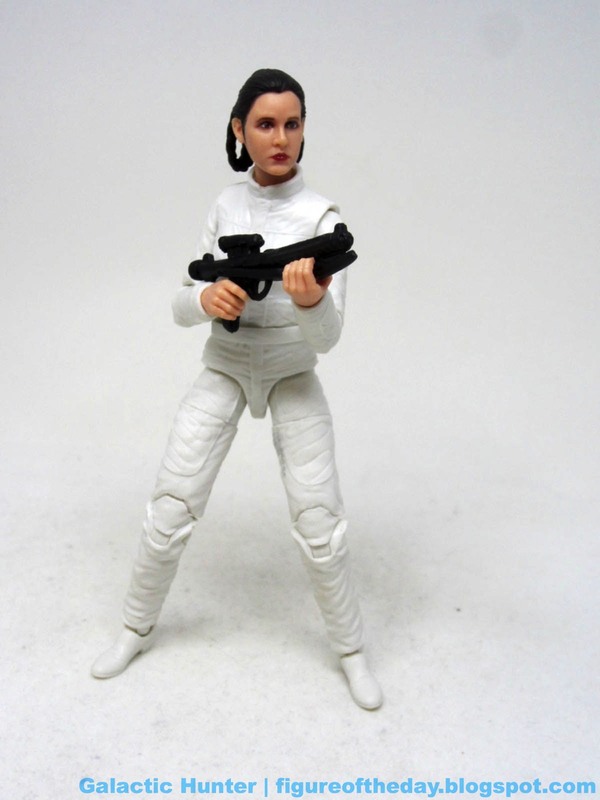 After seeing this figure, I want them to go back and do the other versions - particularly Jabba's Prisoner - to see if we might get something significantly better out of it. Leia's articulation is par for the current course. You get rocker ankles, double-jointed knees, and those slightly better-cut elbows so she can bend her arms a lot more than the typical 90 degrees. I like how you can get some good action poses here, blasting away with both hands. There's really no getting away from the fact that the figure is a star, another high mark for Hasbro after a couple of years of perfectly nice but hardly impressive releases. On the Marvel front it seems the likeness on Paul Rudd gets the high marks, but I would wager that this Leia figure is their best human head in all of Star Wars. Having done thousands of very good figures, Hasbro has to do a lot to make a figure so good it stands out over the previous releases. Good job, everybody - I can't wait to see what your "real life" X-Wing Luke will look like next year! 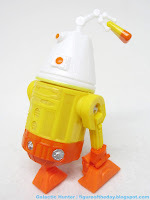 Commentary: I bristle at new Disney droid bins, but I'm more or less at peace with the carded droids. 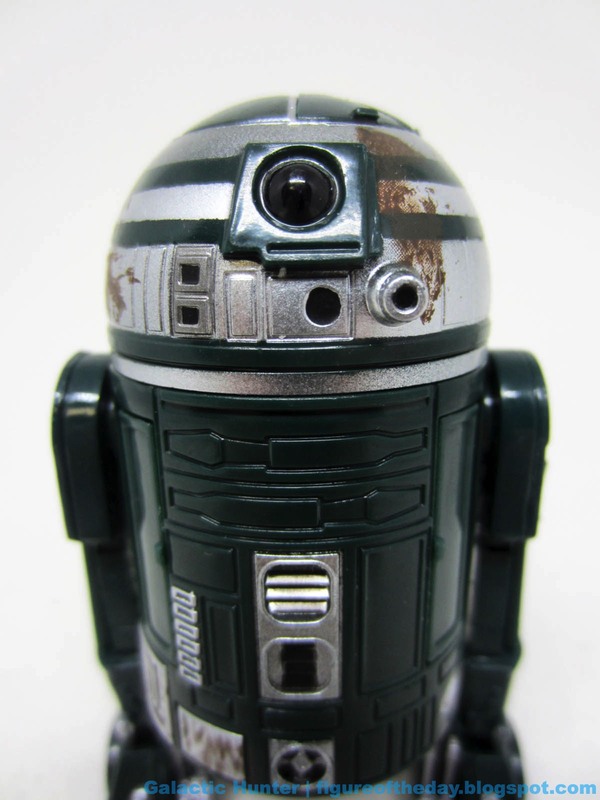 R4-B0018 is this year's offering, and you can score it on eBay or Amazon for less than retail price plus tax plus parking right now. 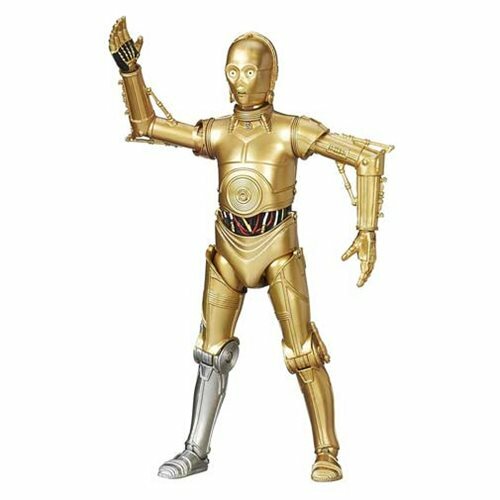 I realize it's still $20 or so for a $13 droid that should be $10 or under, but that's life, plus I want it and I'm not going across state lines to get one. The coloring is inspired by the color of candy corn, a popular-among-adults Halloween candy to hand out to children. 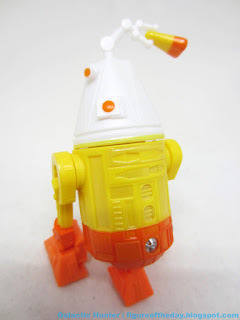 The real candy is usually white at its narrowest, orange in the middle, and yellow (like real corn) at the widest point - Disney switched the colors for some reason. Perhaps it's trademarked - that yellow cap is meant to evoke real corn, though, so it doesn't look quite right in its current form. It does get the point across. The same R4 mold has been used for countless figures, but it adds a new articulated claw arm to grip an incorrectly colored piece of candy from the dome - perhaps we will see it used in a future droid elsewhere. It fits in the dome quite perfectly, and there are little grooves in the corn that fit the claw. It's pretty perfect, but the joints on the arm pop apart easily. The coloring is worth mentioning, because it looks cheap and isn't. The white dome has sculpted detail that is difficult to see in a dark room, and each colored section has a surprise - metallic panels. The yellow plastic has sparkly metal paint in certain panels, as does the orange. Why? I have no idea - it matches closely and may be difficult to register in spots. I appreciate the effort, but as a person who has been involved in toy making I would not fault them for cutting it and making an extra couple of pennies per figure. It doesn't improve the figure, nor does it take anything away if it had been missing. It's still evocative of the autumnal treat that more and more people express distaste for as an adult. I like it - but I'm fond of these holiday droids. Last year's is a favorite, and we'll get to it next week. For this year, you should score this one while it's still on the cheap side. It's my hope they keep these weird holiday droids gong and never, ever do more build-a-droid bin pieces, as these are much easier to obtain as a non-resident of a park in Disney's orbit. Perhaps a Jack-O-Lantern, a skeleton deco, or a "black cat" droid could be in the works! I hope so. The Christmas droids have been increasingly esoteric, and it's a little surprising they aren't doing any modeled after Easter eggs yet. For now, I'll enjoy this candy-inspired can of robot. Commentary: Thanks to a reasonably popular show, Hera Syndulla sold pretty well as a launch figure from The Last Jedi's bow. It's easy to forget, but collector lines are generally powered by fan nostalgia - and by 2017, fans had a pretty good opinion on Hera. Some people didn't care for her show, but people that watched the show like Hera. She has fans and the previous figure sold well, so it's no surprise this one moved. Sabine and Kanan and Ahsoka did fine, too - clearly there's something to be said for making TV figures. She's good - this is an interesting figure. 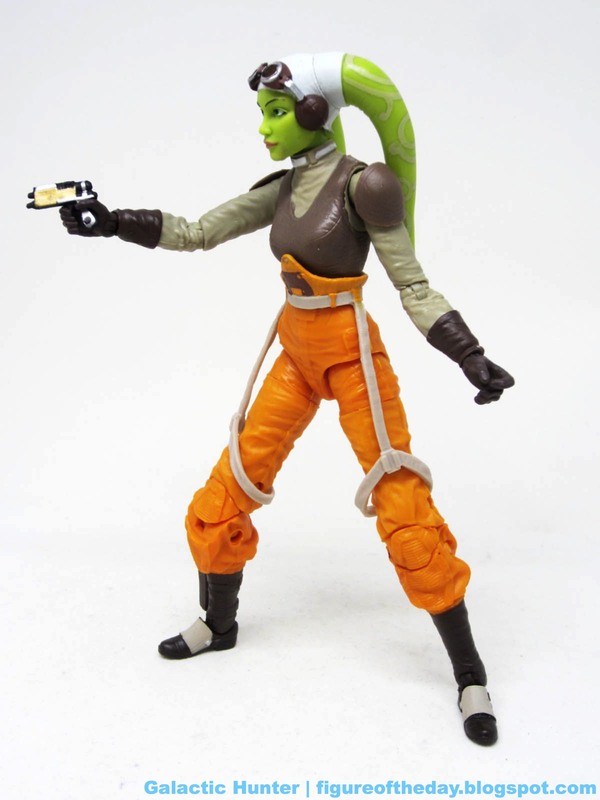 27 points of articulation give her a good range of motion, giving us the best and I assume only green Twi'lek we'll ever get. The skin color is great, and if you thought "Wow I bet they could make a nice Oola!" I'd agree with you. They'll never do it - but it would be perfect. At least Hera has a fantastic and slightly snarky facial expression, and a decent range of movement with some flexibility in her straps. The grey circles on her lekku are subtle, and the deco is almost perfect. Almost. 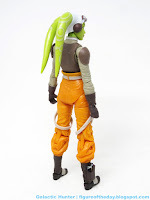 The one nitpick I have is that the upper area of her pants is painted orange as it was molded in grey plastic, and the orange does not at all match the pants plastic. If it matched, I'd say this is one of their finest efforts. Instead it's merely pretty great. 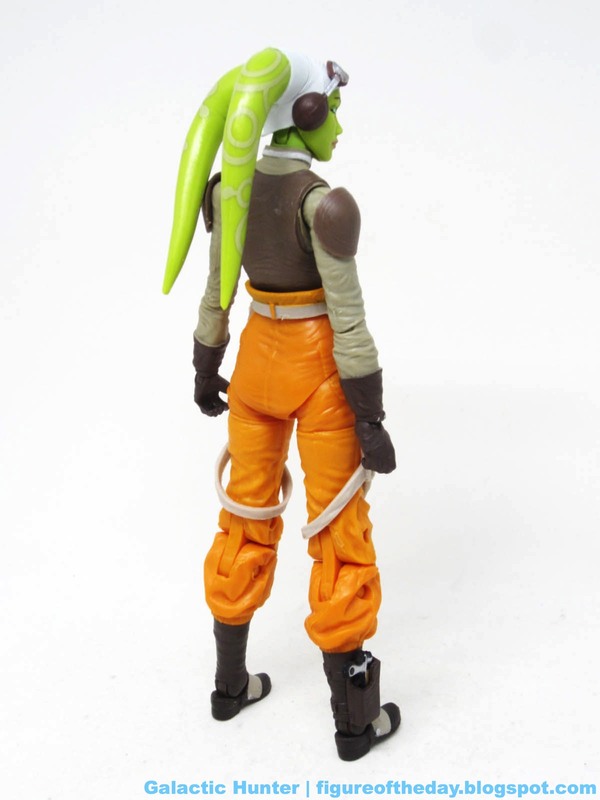 I'm happy Hera exists and surprised that the whole team is slowly being revealed in this scale, even though the line is moving forward. A complete season one cast is still more or less promised by Hasbro, who all but confirmed Zeb after showing us Ezra and Chopper at Comic-Con. It feels late, but at least they're coming after we've decided how we feel about the crew and not before the show aired. 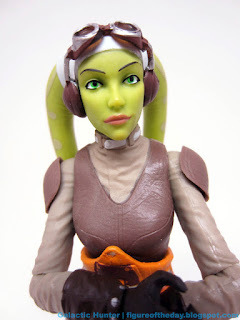 Hasbro did a great job executing most of Hera, so get one if you see one at a price you can tolerate. She can't sit well, but it's not like she's going to get a vehicle. 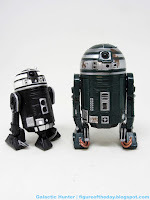 Commentary: I wanted to say R2-X2 is the best version of the droid yet, but it's not. It's close, but I'm having issues with weird, new errors being introduced to these droids. 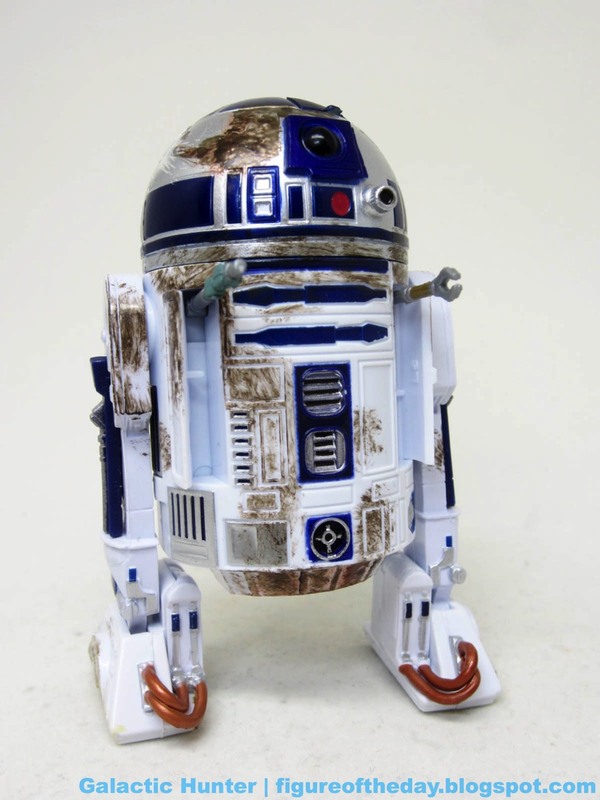 R5-D8 is largely excusable because there's no good reference and previous figures were based, in part, on imagination. R2-X2 is a droid done multiple times since 2006, and each version has had errors - some of which are easily overlooked. This one got the green part right, got the color right for the body, and got the box around the "mouth" dot unpainted - correctly! That's great. It also totally missed the color of the dome, which is a kind of a big deal. Kotobukiya got it right on all fronts last year. 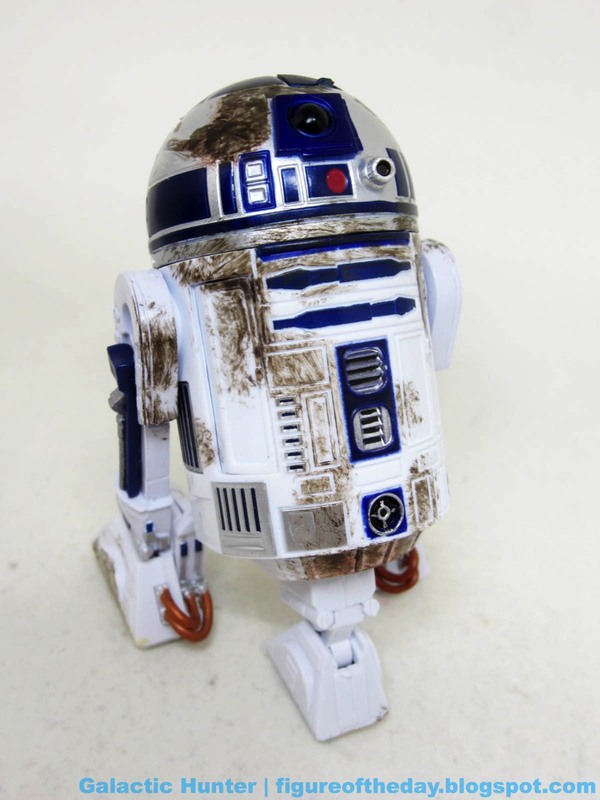 In the movie, R2-X2 has a dirty white dome. This 6-inch scale toy has a silver dome, which I don't believe it's ever done before. LEGO got it right. Funko got it right. It's right on the cards. 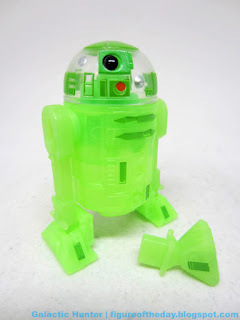 Even the black R2-X2 Hasbro did got this part right. It seemed that, to date, the one thing consistent in every single R2-X2 figure, LEGO set, or bobble head was the white dome. But no, in 2018 Hasbro, Lucasfilm, and/or Disney found a new glitch to introduce to the low-hanging-fruit that is a droid repaint. It's a fine looking robot in and of itself, but it's not a robot that appeared in the movie. 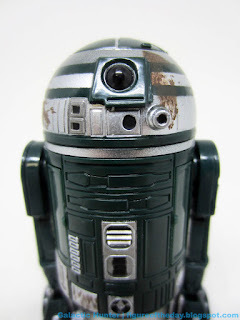 It's not even an understandable goof either - the black R2-X2 did indeed look black in some reference shots, and some droids we know only as a dome, so the body is easy to make up. But not R2-X2. We've seen mistakes, and we've learned from so many of them. 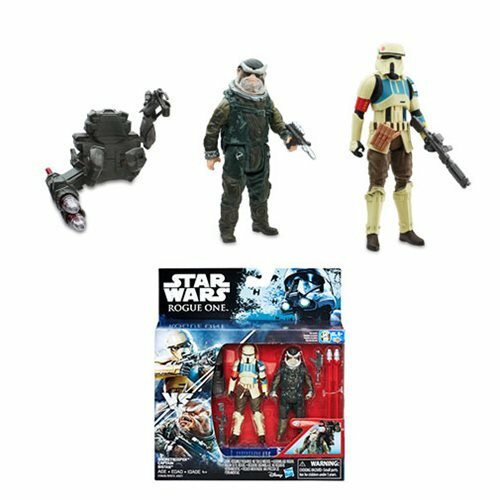 Props to Hasbro for getting the general panel layout and stripes correct, but I cringe at paying $60 for 3 de-accessorized droids where one of them definitely has a glaring error and another probably has several glaring errors. 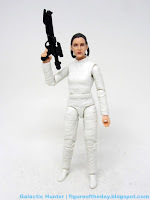 I hope against hope that Lucasfilm approvals starts requiring anyone approving figural products to, at the very least, compare the new item being approved to previous releases and to find a still from the movie. 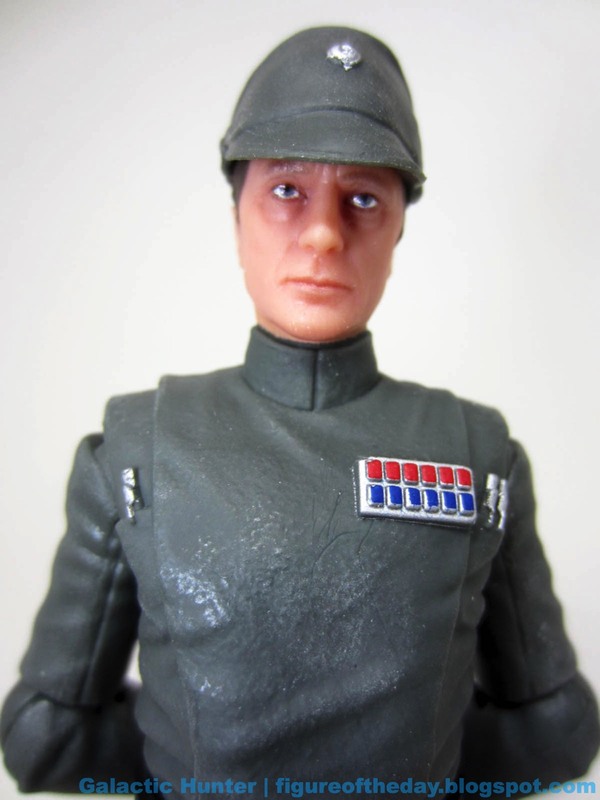 Or, in my dreams, show it off to fans if you're making a toy based on a 4 decade old movie - let us chime in. Feel free to ignore us, but when something is totally wrong it would be nice to have the opportunity to correct it when we're talking about an exclusive in a line that's generally pitched as being specifically for the adult collector that wanted a clean, fresh start from 3 3/4-inch. This is amateur hour error stuff. Yes, the dirt splats are wonderful - but i don't see those in the reference material, either. Is it possible that this figure isn't meant to represent R2-X2 but some other, similar robot they found in the archives and made by accident? I hope so. Because then I can understand why this figure doesn't match anything we've seen from 41 years of stills and movie history. With about 26 points of articulation, this is a wonderful showing of how to hide articulation in a costume. She has a tremendous range of movement, and looks fantastic too - I love the black, white, and red all over costume with superior posture and body language thanks to the jointing. She can also hold her spiffy blaster with no problems. 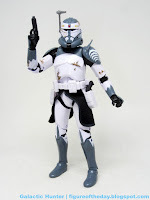 Commentary: It's sort of a miracle that Clone Commander Wolffe exists, but it makes sense for Hasbro as The Clone Wars has some fan legs and Wolffe is Rex with new paint, a new helmet, and a new head. 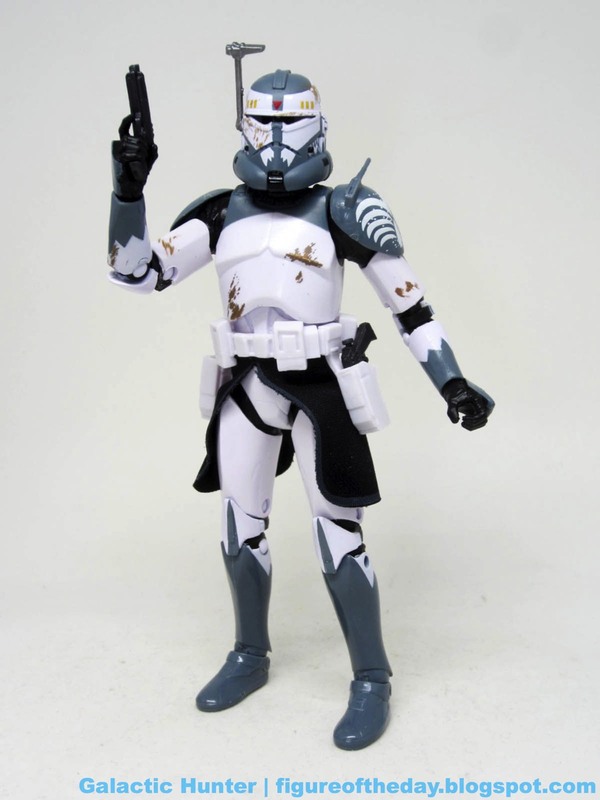 The body itself was originally sold as the Attack of the Clones Clone Trooper, so you might have a half dozen or so figures with this body. 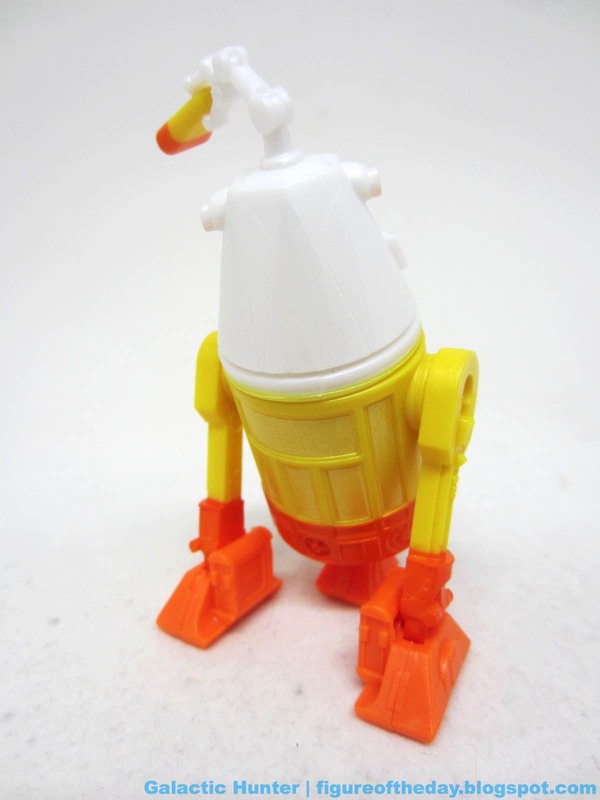 Hasbro designed this one when double-jointed elbows were still on the table, we've had very few of those as of late. The figure has slightly dirty armor, which is kind of odd. 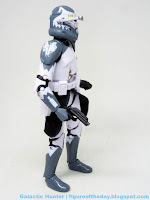 The boots are glossy grey, but there are occasional smudges of fudge on the chest, arms, and helmet with flecks of white baked in some grey bits. Plo Koon's Clone General is good, but it's hard to reconcile the shiny parts with the dirty parts. I'd love to see the grey be all matte or all glossy, as the shoulders and helmet aren't quite as lustrous as the hands and lower legs. At least everything looks like it should - you get the wolf detail on the helmet and shoulders, and it looks good from a distance. The figure's best feature is hidden under a helmet - the portrait looks like a scarred and enhanced Temuera Morrison. 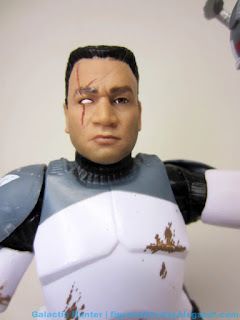 The skin tone isn't perfect - Hasbro has had issues getting it just-so, and at this size it's probably impossible to exaggerate it to the proper levels so it looks exact - but it's good. The facel ooks right, the expression is good, he's got a little bit of a lumpy, scarred, seen-it-all sense about him and that messed-up right eye. I'm torn when it comes to how to display it - I love the helmet, but the human head is so dang good. My hunch is you'll skip this figure and regret it, because you don't go where it's sold. It's really good, and one of Hasbro's better portraits in recent memory. 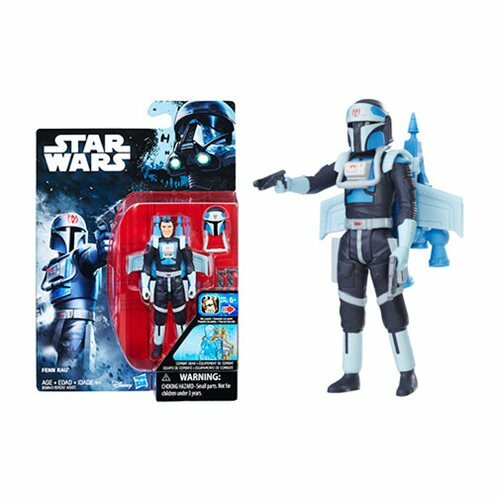 Get it if you see it, especially since your collection of The Clone Wars 6-inch figures is going to be pretty small right now. Almost as small as your The Phantom Menace collection. Collector's Notes: I got mine from GameStop. It was also sold at Barnes & Noble and Disney Stores. 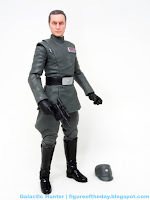 Commentary: Hasbro's character selection for The Black Series has been rather fascinating, light on aliens and droids but heavy on humans. 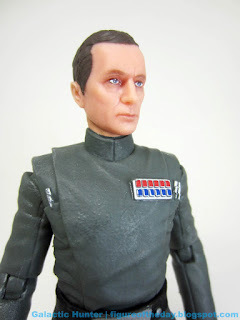 Since there's a lot of tooling to share with Thrawn and Tarkin, Admiral Piett exists. The arms and legs and lower jacket are similar to Tarkin, with a new cap, new head, and new hands. And a new blaster. 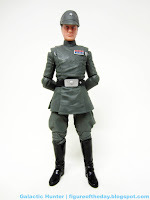 The 6-inch figure is on par with previous efforts - you get a stiff jacket, so sitting isn't much of an option. The figure has a good range of articulation, much of which is nicely stowed in the seams. Bend-and-swivel wrists allow you to give him a weapon, which he doesn't use, which is kind of a shame as it's new tooling and I'd just as soon have a slug figure of a Mouse Droid or some other armament for another figure in my collection. 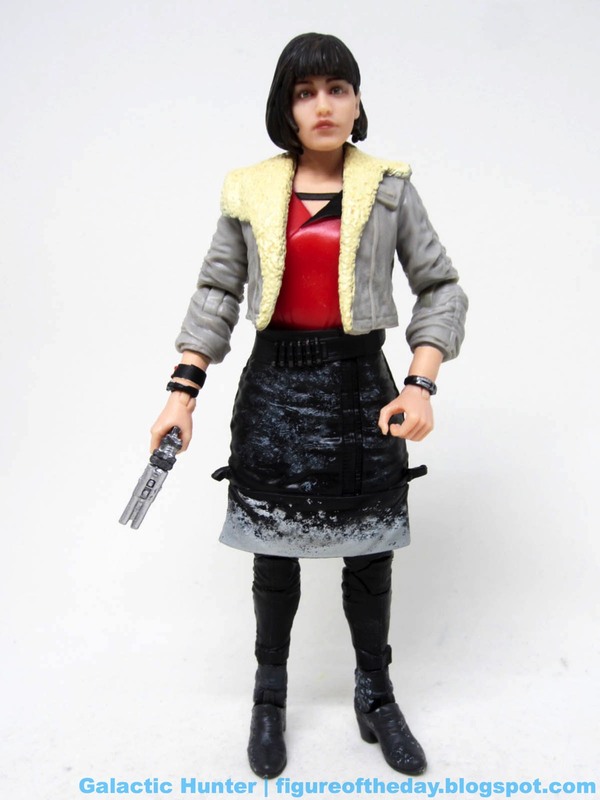 (Or, heaven forbid, a build-a-figure piece.) 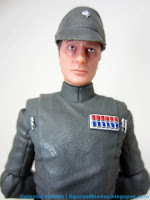 The texture throughout is great, and I can see how and indeed why Hasbro wants to make the most out of its figures like this - why not give the older fan the fascist thugs we crave? The grey-suited toady has a removable cap and a clean outfit complete with black gloves. The face looks good, with an excellent sculpt and printed, mostly glossy features. There are bags under his eyes and a little bit of color in there, perhaps too much - I feel like we're looking at the first phase of a new manufacturing technique which is going to get a lot better as time goes on.